These tactile and elegant tassel earrings are truly statement earrings. 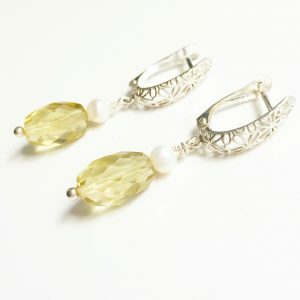 The earrings sparkle, shimmer and catch the light with every movement. 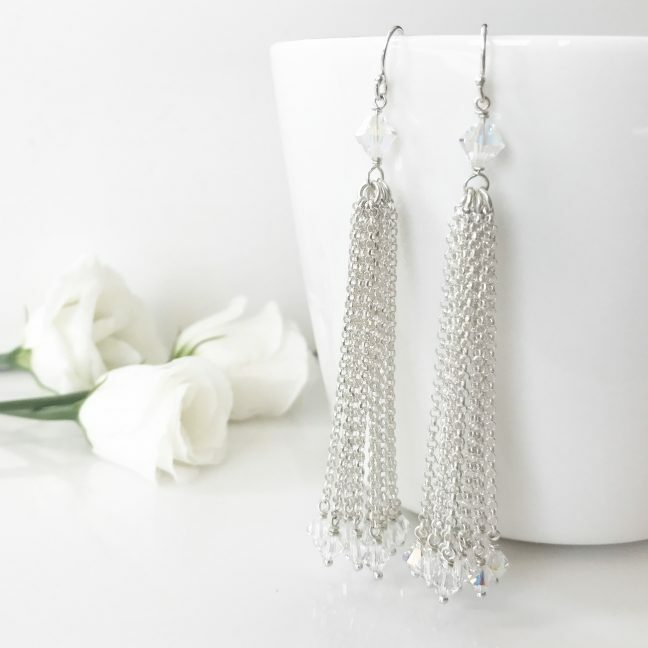 These tactile and elegant tassel earrings are statement jewellery. The earrings sparkle, shimmer and catch the light with every movement. 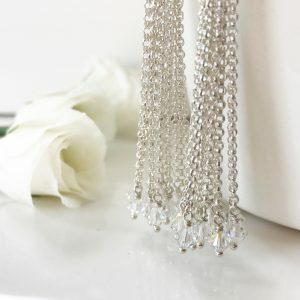 The stunning Swarovski crystals and diamond cut sterling silver chain give it added glamour and a touch of class. 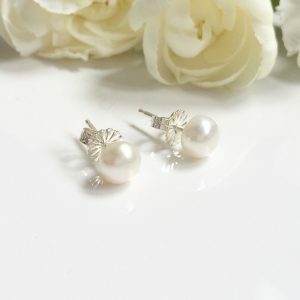 We have used the finest quality materials to make this earrings as luxurious as possible. 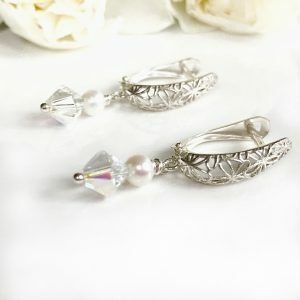 There are two types of Swarovski crystals in the earrings, AB crystals which are Aurora Borealis coloured, when the light hits them they reflect every colour. 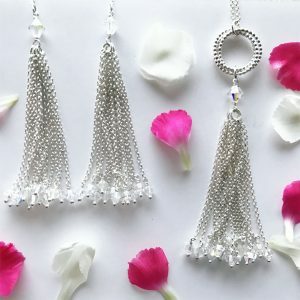 The second crystal is clear and adds a beautiful sparkle to the tassel ends. 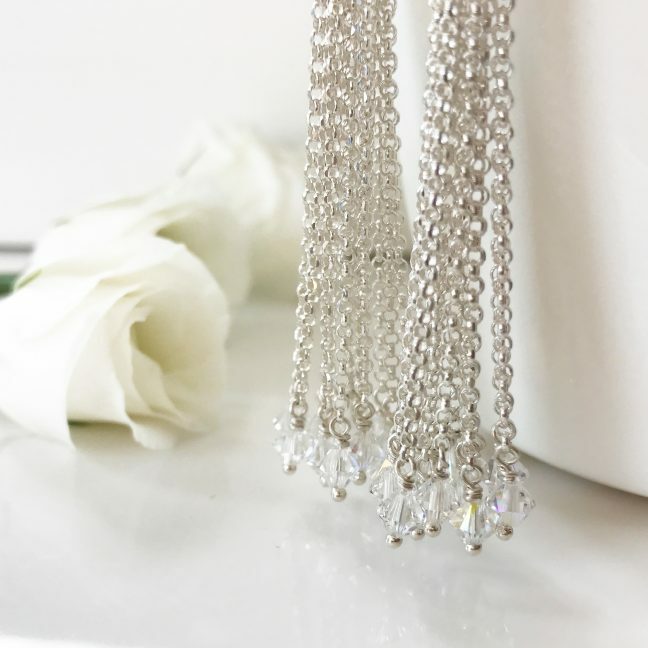 The total length of the luxury sterling silver chain tassel and 6mm crystal is 3 1/4 inches. All of our jewellery comes beautifully packaged in an elegant Me Me Jewellery presentation box. 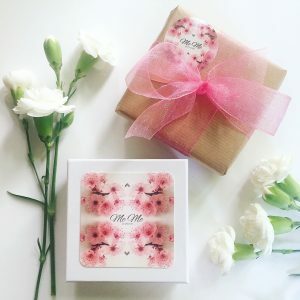 Pretty gift wrapping is available for a small additional cost on the product page. If you do not see what you are looking please just ask. 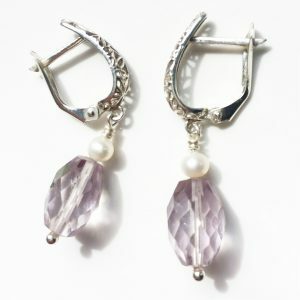 The crystals in these earrings are available in other colours on request.